About a month ago, I was contacted by Blue Star to see if I wanted to try out their line of cookware. Of course, I jumped at the chance. I admit, I didn’t know what to expect. 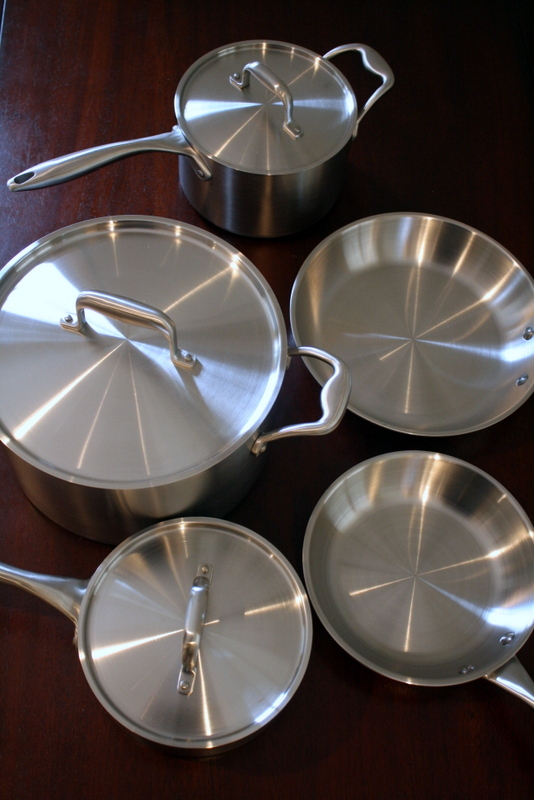 But when the enormous package of arrived on my doorstep about a week later, I eagerly opened the contents and found these beautiful stainless steel pots and pans. I already have a few stainless steel pans, but these were so shiny and new with a lovely brushed metal finish. My old pans look a little sad beside these. 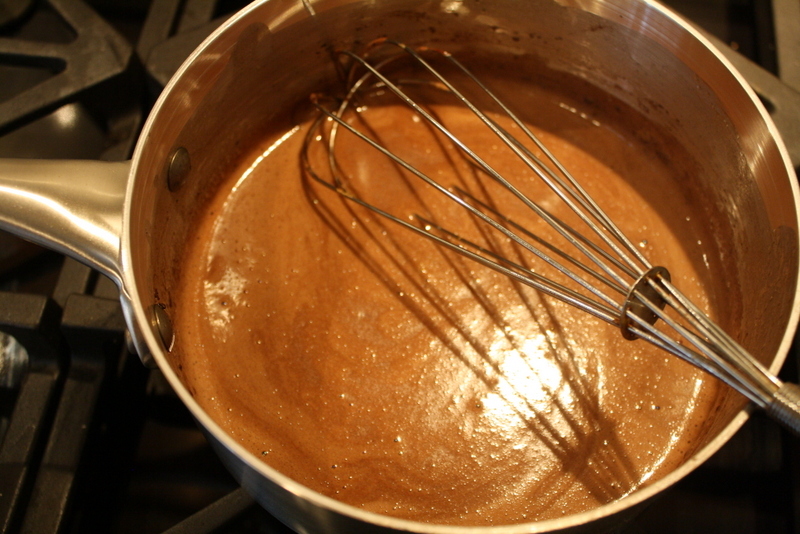 The first thing I did with my new cookware is make my Chocolate Fudge Cake, which requires that you cook the icing before pouring it over the cake. The cake turned out wonderfully, as did the icing. But I didn’t really notice the difference in this cookware and my old cookware until I reheated some soup a few days ago. In my old metal (not stainless steel) pot, the outer edges of the soup began boiling quickly, while the center was barely warm. 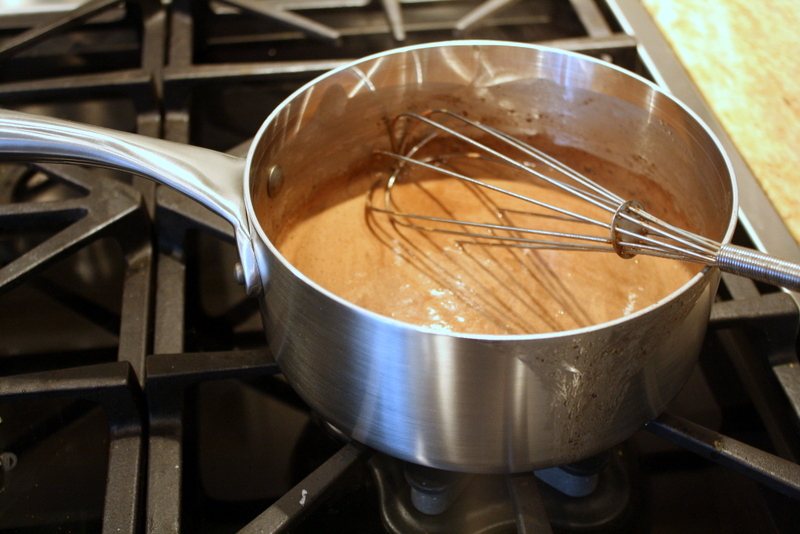 In the heavy stainless steel cookware, things cook much more evenly, which can make a big difference if you’re cooking something a little more delicate than soup. The only real downside to this cookware is that I’ve had a bit of trouble cleaning it when I cook things that tend to stick to pans like eggs. I’ve used a stainless steel scrubber pad after soaking the pans, but can’t quite get them back to their original brilliance. I’ve reached out to Blue Star to find out their recommended cleaning tips for their cookware and will report back when I hear from them. Edited to add: Blue Star advises cleaning their pans just as you would any other pans, including using steel wool. Maybe I just need to use a little more elbow grease. Blue Star also makes appliances like these colorful kitchen stoves. I must admit that the fact that they have stoves, like this red stove makes me wish I had been a little more adventurous when it came to picking out kitchen appliances. My kitchen has pale blue walls with touches of deep red, but could use a little more red if you ask me. For more information on Blue Star, check out their website, as well as why they claim to make the best broiler and the best stove oven.